Jacket, small, in grey and blue striped material. Jacket from Auschwitz Concentration Camp; part of the uniform worn by prisoners at Auschwitz. The Nazis developed an immense system of concentration and extermination camps throughout Europe to imprison and murder those groups of people they deemed to be enemies of the regime. From four original camps in Germany, the system grew to include thousands of different camps and sub-camps organised into 23 major complexes, holding about 2 million prisoners. 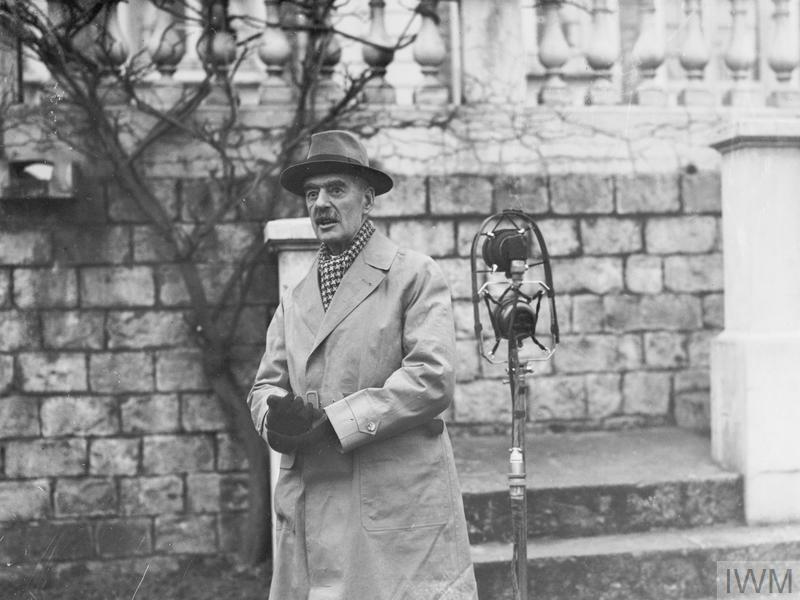 These included Jews, gypsies, political prisoners and prisoners of war. In addition to these concentration camps some 4,500,000 Soviet POWs were held in makeshift camps, which were often nothing more than open-air enclosures where prisoners were left to starve or freeze to death. The largest of these camp complexes was Auschwitz, which at the height of its operation consisted of 3 main camps and 36 sub-camps serving a variety of purposes. It served as both a concentration and extermination camp. At most camps, prisoners who were not selected for immediate death were subjected to hard labour with long hours, starvation rations and harsh punishments. The death rate was very high. German firms could buy the labour of these slaves from the SS. More than 2 million men, women and children toiled in this vast system of camps. Nearly half were murdered, or died as a result of the appalling conditions in which they were forced to work and live. 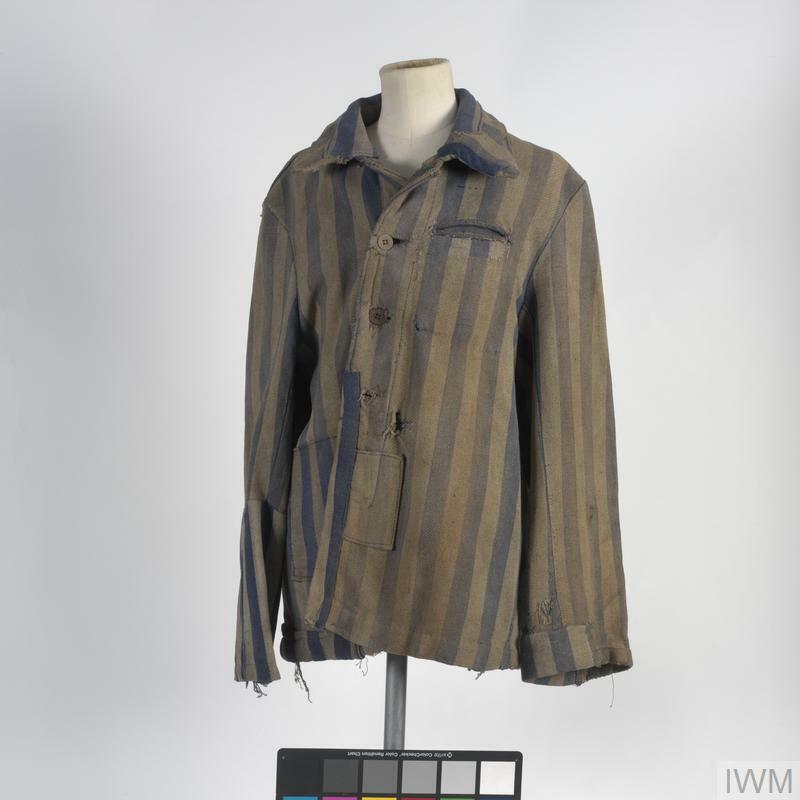 On arrival at a concentration camp prisoners were deprived of their possessions, classified, photographed, numbered, shaved and deloused. These procedures were meant to dehumanise and bewilder the new inmates. They were then issued with ill-fitting clogs and striped uniforms. 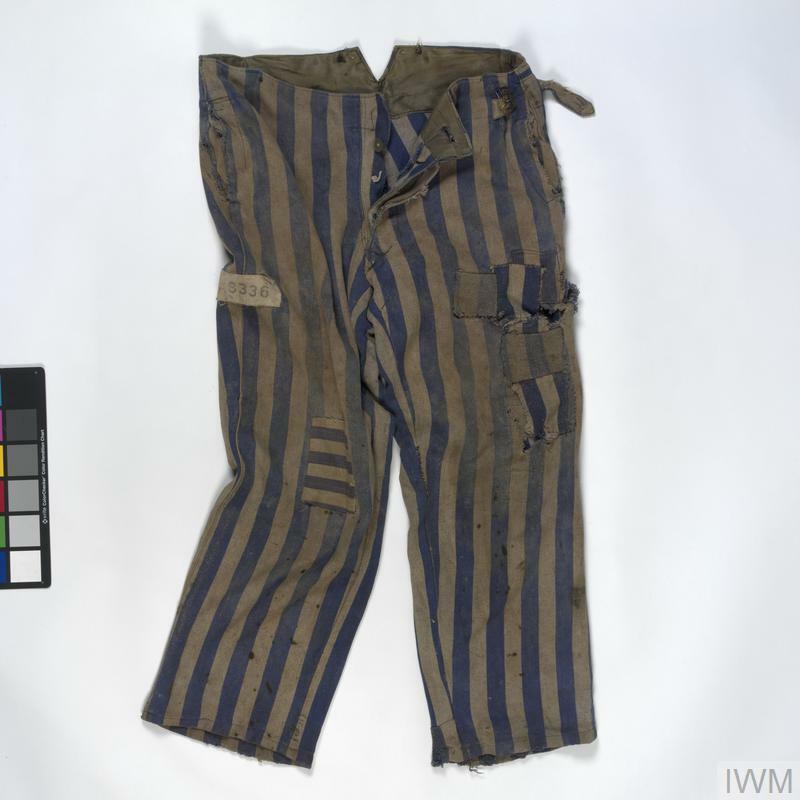 The uniforms had coloured patches to denote the category of prisoner.